The 4th of July is upon us, and it's always fun to participate in the festivities starting with a red, white, and blue outfit. My top and skirt are from Modcloth. One of the things that I love about them is that have a large selection of items from small to 4X. This look will have you feeling fun and festive, but also comfortable. I always try to steer towards wearing cotton in the summer, so my skin can breathe. This little white cotton top does just that. My husband and I are going to Hawaii to celebrate our five year anniversary. We will be enjoying the 4th there, and I will be bringing this look along for the ride. 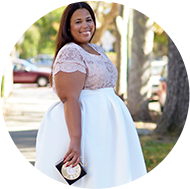 Style Notes: I love this white top from Modcloth, what you can't see is that is that it is cropped and has a banded bottom. I got a 2x int he top and I thought it ran big and that I should have sized down one size so that I could have a more fitted look. I got the skirt in a 2x as well, and it fit perfectly. The skirt has a little stretch. You'll want to note that these pieces from Modcloth are budget-friendly. The top was $40, and the bottom was $45. One thing you'll notice about them is that they an array of pricing to accommodate different budgets. 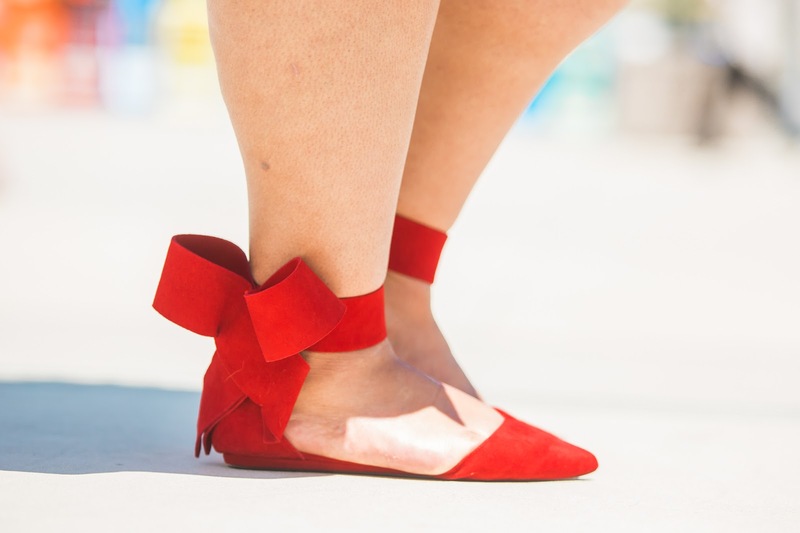 I purchased my shoes from Aminah Abdul Jill, but you can find a budget friendly version here. 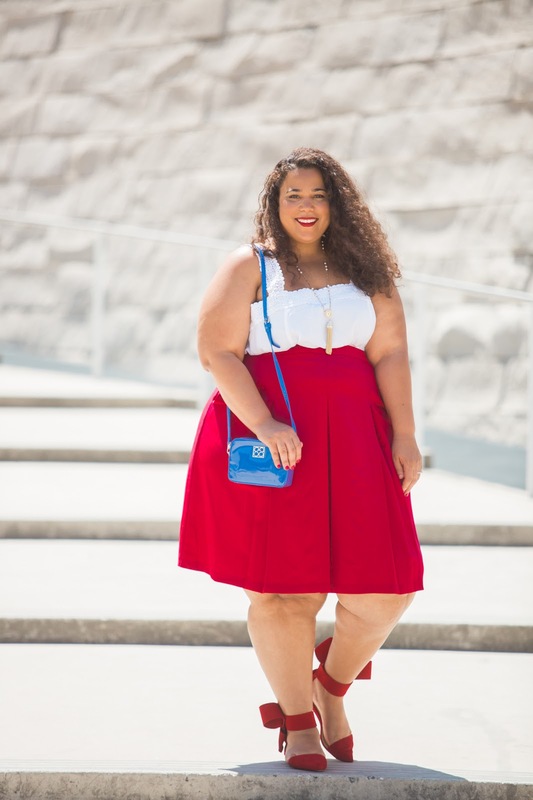 Thank you Modcloth for sponsoring this post, all opinions are my own.